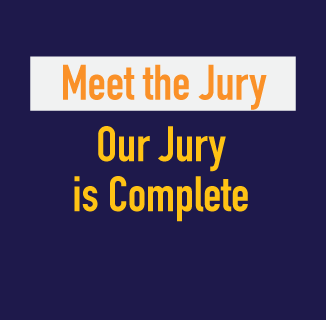 Our jury is complete and we are excited to introduce Michelle and Daljit. Michelle is the Managing Director of Strategy & Innovation at LiquidHub. Her practice centers on guiding the vision and innovation efforts for digital customer experience with websites, social channels, e-commerce initiatives, software, portals and applications. Throughout her award-winning career, she has worked with brands like Coca-Cola, SAP, Kroger, Electrolux, Nike, Express and Hewlett-Packard, to build meaningful customer experiences across channels within the digital ecosystem and in the physical world. Michelle is a Fellow in the Industrial Designers Society of America, has served as IDSA President and was recently named one of the 50 Most Influential Designers of the last 50 years by the membership. She serves on the boards for Good Design Australia and for the IxDA (Interaction Design Association). She has spoken and led workshops at conferences around the world, including Australia, Brazil, Chile, China, Hong Kong, Korea, Poland, Taiwan, Turkey, and the United States. Daljit Singh is a creative digital strategist with a global flair who deploys design methodology to solve big business issues. As the Principal Director, Design Strategy for Fjord in EALA (Europe, Africa, Latin America), Daljit collaborates with our European studios and design directors, and is an integral part of the leadership team across EALA. Having founded his own agencies and collaborated with design visionaries like Sir Terence Conran, he has 20 years’ experience in the digital interactive communications industry and is a fixture on the Financial Times’ annual Top 50 Creative Minds listing. Daljit founded Happiness, the creative business consultancy, in 2012. From 2010-2012, he was founding partner of Conran Singh, the then digital arm of Sir Terence Conran’s empire. He joined Conran Group from Digit, the pioneering digital agency he founded in 1996 and sold to WPP in 2005. Daljit’s work has been recognized with a D&AD Black Pencil Award, Design Week Best of Show and two BAFTA’s. His work and thinking has been on display at exhibitions at The ICA and Centre Pompidou. He was a former curator of The Future of Luxury at London’s V&A Museum. After the peer reviewing phase they will join us in Santiago, Chile during Interaction South America 2016 and find this year’s finalists and winners. Stay tuned, we’ll keep you updated!